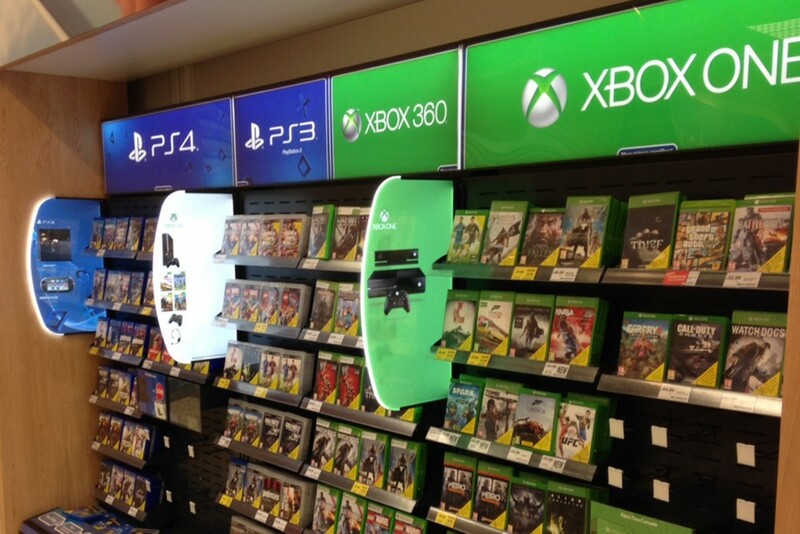 Custom shaped LED light sheets used for Tesco Gaming displays. 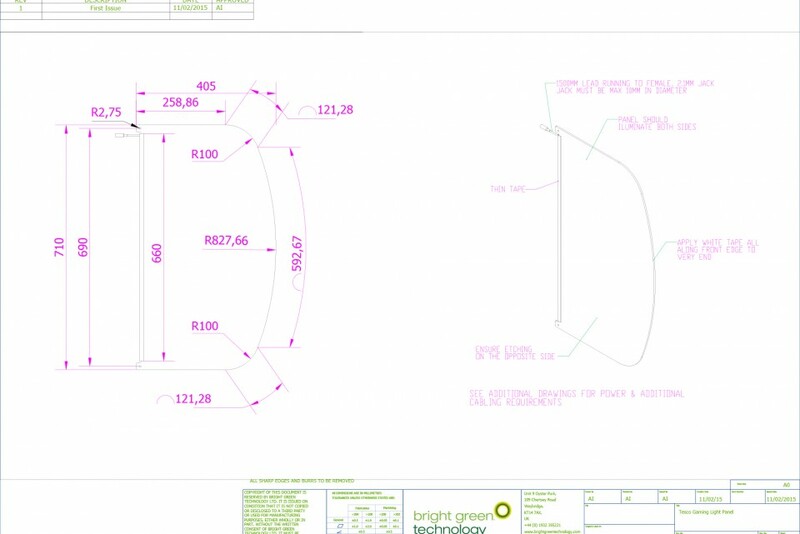 DisplayPlan approached us with a challenge – illuminate curved, eye-catching, double sided graphic displays with an easy to install modular system. 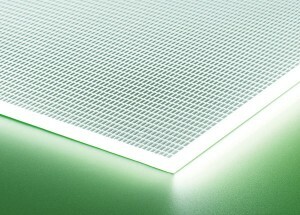 We supplied double sided , custom shaped LED light sheets to meet the designer’s specification and with all edges polished to give a bright, even glow.